Let's see how our “Continuous Care. Anywhere.™” concepts can make an impact through connected patient engagement. Vivify Health is getting prepped for the panel tomorrow at the Connected Health Summit. Come see us! Come see how our Connected Care solutions and our “Dare to care. 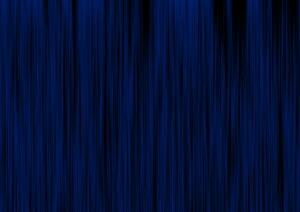 Everywhere.™” concept can make an impact through continuous engagement. See Vivify Health CEO, Eric Rock, on the Panel of the 2016 Connected Health Summit on Sept 1. 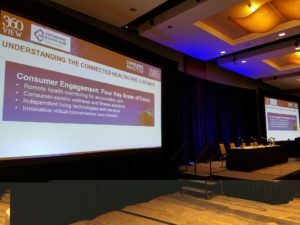 This year’s Parks Associates Connected Health Summit is at the Omni Hotel in San Diego from August 30 – September 1. We were proud to be part of such an innovative and forward-thinking event. Getting ready for some innovation. 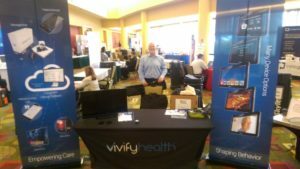 VivifyHealth is representing at the World Healthcare Summit in Atlanta today through Friday. Combining healthcare with technology with some of the best. Come see Vivify Health at AHA Scientific Sessions ’15 in Orlando. Look for us in the AHA Heart Quarters. Vivify Health, with the AHA can help define heart science. Vivify Health’s CEO, Eric Rock, will be representing Remote Care at the Health Wildcatters Meeting Tonight! Staying innovative in the local community. 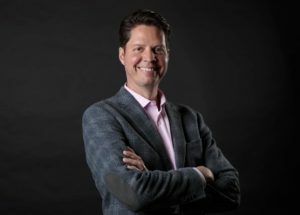 Vivify Health CEO, Eric Rock, to add a little bang to the SMU/Cox Southwest Venture Forum on 9/10. 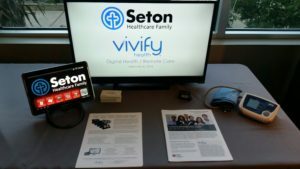 Vivify Health, now showcased at Kaiser.